Learn the ins and outs of front end development with this huge collection of courses. A line of code can look like a stroke of paint on a canvas for a web developer. If you want to see code as art, then you need to check out the Ultimate Front End Developer Bundle. You can get it now for just $39, or over 90% off the retail price! 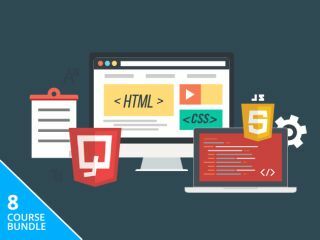 You can get the Ultimate Front End Developer Bundle on sale for just $39, or over 90% off the retail price! That’s a massive savings on a course that could set you down a new career path, so grab this deal today!